COMPARED TO AMANTANI, ISLA TAQUILE IS SLIGHTLY MORE TOURISTY. We left our homestay family early in the morning so that we can get to this island way before everyone else comes pouring in. The only mode of transportation on the island is on foot via steep walkways. Walking uphill is a difficult task, but the views from the highest point is very worthwhile. The people here are known for their knitting skills. All their clothing have different significance. If you like exotic textiles, this is the place to shop until you drop. The group had a community lunch at one of their houses. I became friends with Alejandro and Claudia from Monterrey, Mexico. Alejandro spoke to me in Chinese out of the blue! Imagine how surprised I was. He said he learned Chinese from playing video games. That would be a good marketing pitch for the gaming industry. 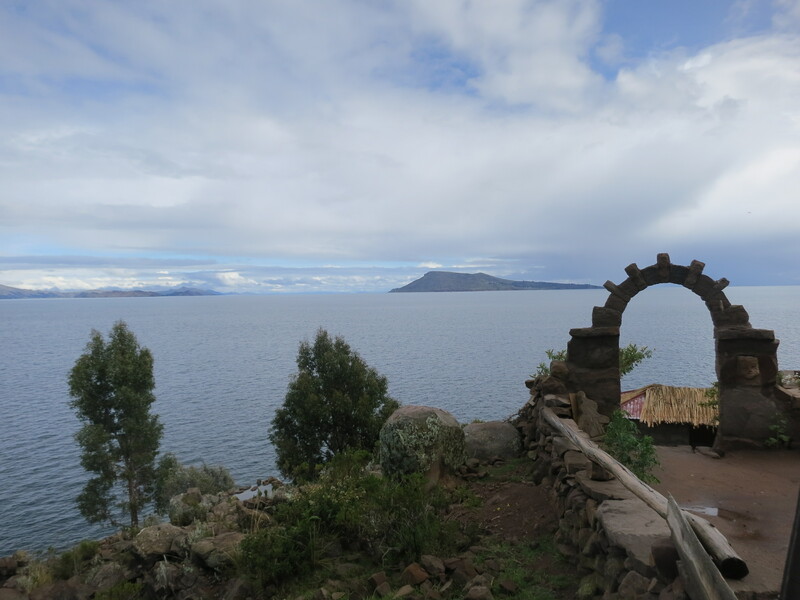 THE LAKE TITICACA TRIP ENDED WITH US SAYING GOODBYES TO EACH OTHER. I’ve made some good friends along this trip, and had very authentic experiences with the local people. Feeling a little nostalgic after arriving back to Puno, I went to Loving Hut for a warming dose of vegetarian chincherron.